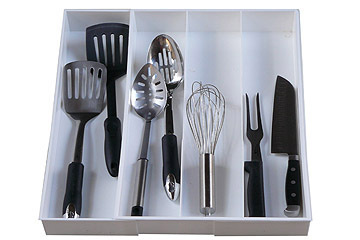 This expandable utensil tray is specifically designed to accommodate the long, over sized utensils often found in your kitchen. 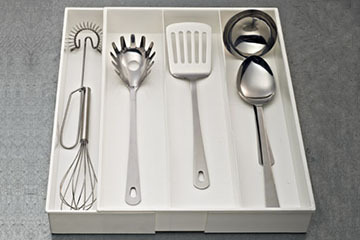 No longer dig for your favorite spatula – put your fingers on it in no time. 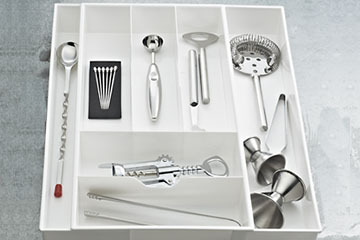 It’s also a great “tool” when storing tools in a drawer. 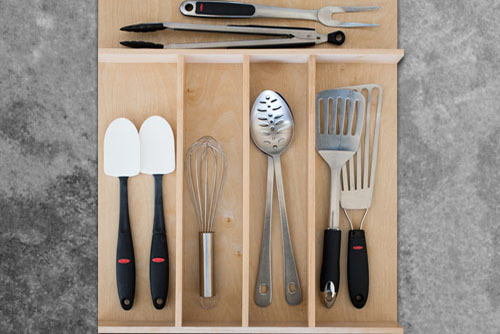 You can easily put your hammers and screwdrivers in each of the slots to avoid having to dig through a tool box. 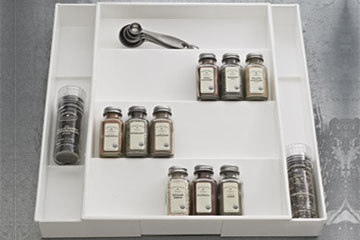 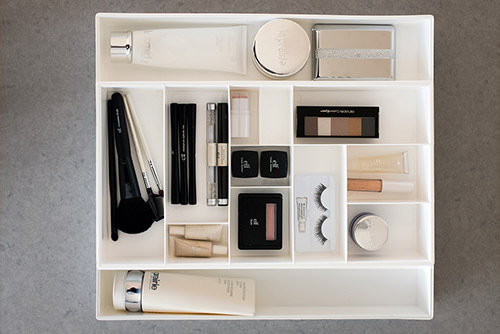 The tray adjusts to the width of your drawer for a custom fit.